Albertine, just off Shepherd's Bush Common. 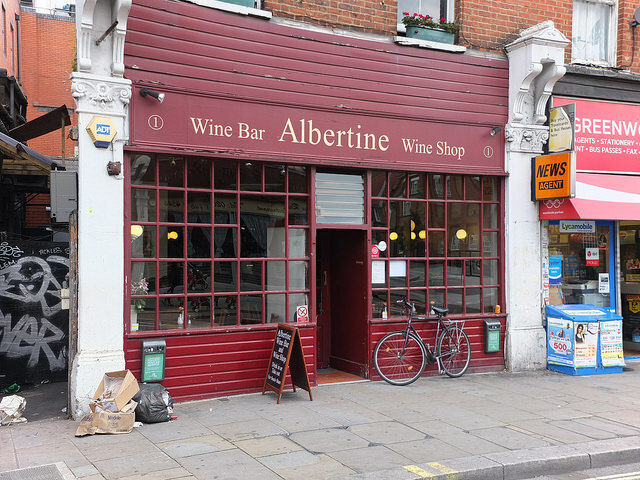 Tucked away down a side road near Shepherd’s Bush Common, Albertine has a somewhat low-key frontage compared to the neighbouring glare of pubs and newsagents. 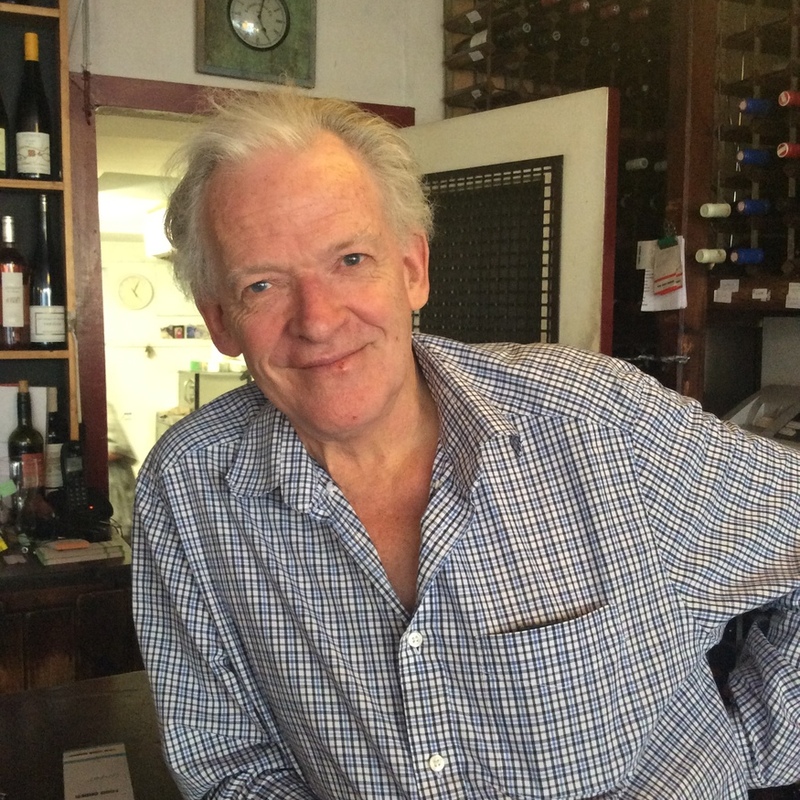 Owner Giles has been running the place for over 30 years, and has no plans to go anywhere any time soon. Why do we like them? We've not seen a wine bar/shop (this is both), with such a fun and well-priced selection. Giles isn't beholden to any particular ethos or ideology and that’s quite refreshing, especially when we’re seeing so many other places prizing concept over all else. Albertine has a great list, with a bunch of really good bottles under a tenner. It’s also particularly strong in the £10-20 take out bracket, so if you’re after something special and a bit different, you’ll find the bottles here are better value than almost anywhere in London. As Giles put it, with the kind of unconventional wines he’s selling, he has to put a tiny margin on them or else they’d never move. There’s also a simple cheese and charcuterie style menu, so you can have a nibble and a glass of wine while you consider your purchases. The interior of Albertine. Note the Wall of Wine. The first of our two under a tenner is the Adega de Moncao, Escolha Vinho Verde 2013 at £8.95. This is hands down the best summer evening wine we’ve had in ages. From Northern Portugal and made from a blend of Alvarinho (the same as Spanish Albarinho) and Trajadura this is crisp as a spring breeze and lightly fizzy to boot. Chateau La Bastide, Corbieres 2012 is a Grenache/Mouvedre blend from one of the value powerhouses of southern France, and it’s all gorgeous warming fruity spiciness. This is the kind of wine that makes us want to get funky with some Toulouse sausages and just a little bit too much aioli for polite company. If you want to up the ante slightly then give Alpha Estates, Hedgehog vineyard Xinomavro 2010 a try. Don’t worry too much about the grape variety's name, we promise you it’s pronounced phonetically. Basically this northern Greek red is the absolute bomb. Take it round to your posh wine loving mate’s house, raise an eyebrow and feel smug, because you’ve just trumped pretty much anything they’re going to be opening and it’ll have cost you under £15. Yes, it’s that good. We also we can’t quite work out why it’s so cheap on Albertine’s shelves. 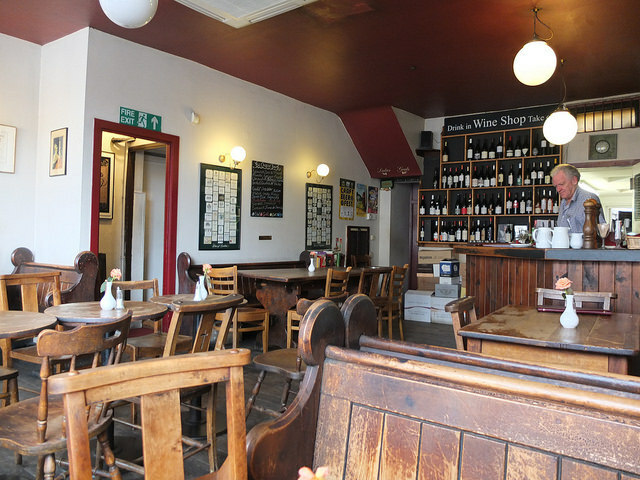 Albertine also featured in our list of the best pubs in Shepherd’s Bush, nominated by you.